English boxers can fight at the 2014 Commonwealth Games after the sport's English amateur governing body voted through changes aimed at modernising. The Amateur Boxing Association of England (ABAE) was warned its fighters could be banned from international competitions if a resolution in an internal row was not found. But a statement said English boxing is now "in line with the rules and bylaws of international competition". "This is a momentous day," it added. The International Boxing Association (AIBA) ruled that Sport England's support for a new ABAE constitution violated a statute stipulating national federations should prevent external influences interfering in election and appointment processes. But then came the threat of a new ban, with the ABAE told if voting at an extraordinary general meeting (EGM) on Sunday went against a new board structure and new rules, Sport England would withdraw £5m of funding and the AIBA would take further disciplinary action. "The acceptance of new articles and a new board removes the threat of sanctions by the international governing body, AIBA, and ensures that Sport England will continue to fund the grassroots of the sport," the statement said. "The board would like to thank all of the [boxing] clubs that have supported the moves to modernise the structure of English boxing and made their views known to their voting representatives over the last two weeks. "They have played a critical role in the outcome we have seen today and we would like to thank both the grassroots clubs and the voting representatives that put the interests of the sport first and voted in favour of modernisation." 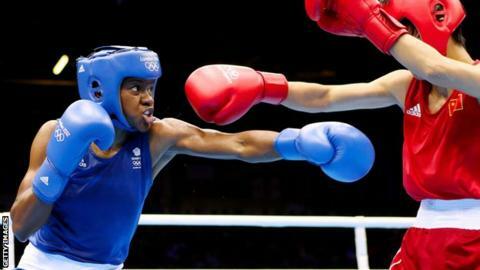 Nicola Adams, who won Olympic gold last year, could now compete in Glasgow next year as women's boxing makes its Commonwealth Games debut.